Beautiful professionally remodeled Mesa View home with all the modern luxuries and fantastic location and views! This bright and open home backs to open space with access to bike and hiking trails just outside your door. The custom home builder remodel comes with every surface updated, a high-end kitchen for gourmet entertainment, beautiful hardwoods throughout, elegant bathrooms, modern light fixtures, brand new paint, trim and doors. Home provides a rare opportunity to live in one of Golden's top neighborhoods in what feels like a brand new home. Enjoy great space within, ample storage, and amazing outdoor space with quiet outdoors, privacy, parks, and wonderful community within minutes to light rail, shopping, dining, and so much more. 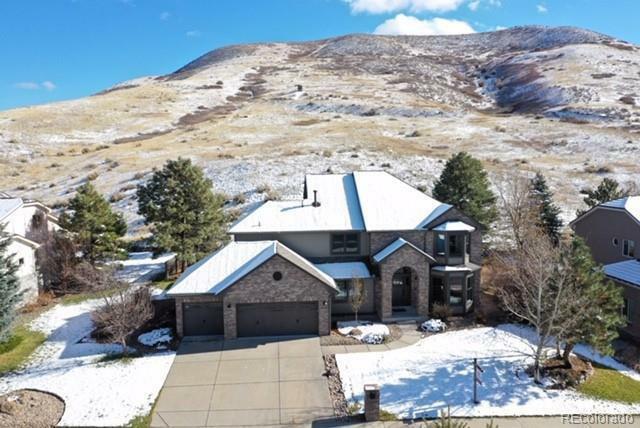 The schools, location, access to Denver and quick drive to the slopes makes this home ideal for Colorado living.